Marié taught at various schools, including the Cape Town AAA School of Advertising as Creative Lecturer, and lectured in Design and History of Design. In 2000 she started an Art school in Stellenbosch, lecturing about 70 students and adults in painting, and drawing with frequent exhibitions and charitable auctions held each year in aid of welfare causes. Onse mense features of 22 charcoal drawings, which are accompanied by a poem specifically created for each drawing by one of 22 poets. 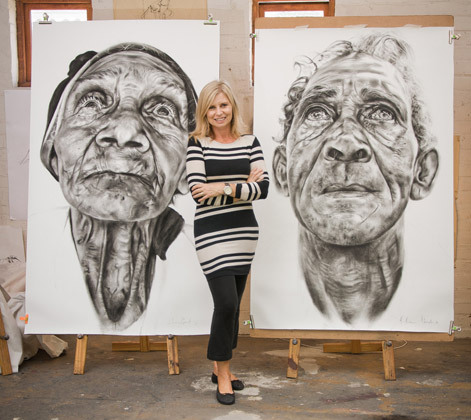 The drawings show people from Jamestown, Stellenbosch. The original drawings are life-size. The book, sponsored by SANLAM, was launched at an Woordfees exhibition in 2010. A retrospective exhibition followed at the SANLAM Gallery in Bellville.